The Corum luxury watch brand has been distinguished for keeping the tradition of baguette movement in prestigious watches for many decades, especially due to its loyalty to this type of movement embodied in its Golden Bridge collection. The baguette movement was the descendant of the elongated watch movement, a trendy issue in the 1920s, the times when Art Deco was the dominant artistic movement. Baguette movement was discovered and first designed by Vincent Calabrese who was later awarded a gold medal at the International Exhibition of Inventions in Geneva in 1977. After that, baguette movement gradually gave way to the round movement types that began to dominate the luxury watchmaking tradition, while Corum remained loyal to this unusual, gaudy trend of the first half of the past century in its Golden Bridge collection. The first items of the Golden Bridge collection appeared in 1980, and they represent extraordinary design solutions, prestigious watches with movement held entirely by sapphire bridges and plate inside the transparent cases. 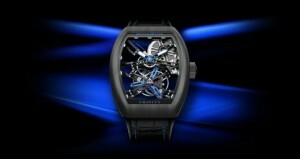 The Golden Bridge high-end watches were all equipped with a flying tourbillon, and offered a unique view – the opportunity to involve in the 3600 view of the watch’s movement. All watches of this collection were distinguished with a tiny time-setting mechanism that could outperform many other rivals of Corum among luxury watches of high class. The SIHH 2014 exhibition became the top hour for Corum again because of the sensational presentation of a new model of the Golden Bridge collection – the Corum Golden Bridge Dragon watch model. This new, updated version of Corum luxury watches with baguette movement features a dragon aligned with the vertically located, hand-winding Caliber CO 113 movement. The dragon inside the watch mechanism is carved from red gold, and engravings on the dragon rare made manually for two weeks for each watch. 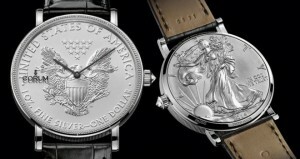 However, it is true to say that despite the posh, authentically luxurious looks of the new model of Corum baguette movement watches, the overall appearance and impression of the Corum Golden Bridge Dragon watches is that of restrained, minimalist, and classical image that is memorable enough to become an iconic item of modernity. This watch’s peculiarities include the absence of a dial, and the relocation of its crown to the bottom of the tonneau-shape case of the model of prestigious watches. 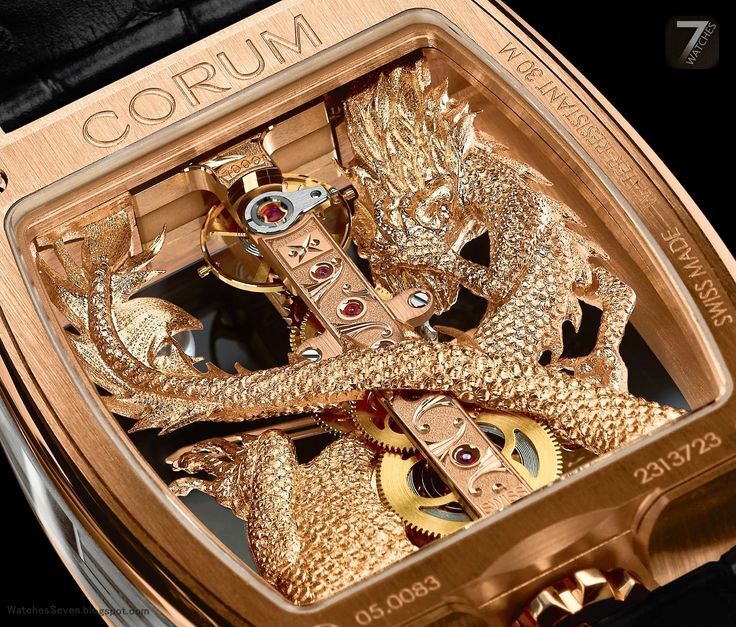 However, in other elements, the Corum Golden Bridge Dragon watch keeps to the traditions of luxury watches production; it has a scratch-resistant sapphire crystal, and features a traditional caseback and side of the watch for balance maintenance. There are four versions of this model that can be obtained by connoisseurs and watch collectors: one of the watch models is encrusted with 422 round-cut diamonds placed on the red gold case; another one has 338 round-cut diamonds placed within the 18k white gold case of the watch. Two other versions are more urban-style, without the focus on precious stone: one of the Golden Bridge Dragons is presented with a grade 5 titanium case with a black PVD coating, and another one features a golden case combined with a black leather strap, but without encrusted diamonds. 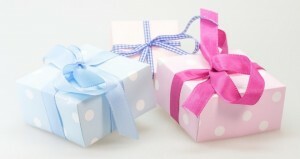 Previous: The Mark Carson Brand Is on Its Way to producing a New Hawaiian Collection!